Get a great price on the Wismec Ravage 230 Kit from Vapor DNA. Following the success of the Predator 228 mod, Wismec has once again partnered with Jon Fairbanks, a.k.a “Sinuous” to design its very first color screen vaporizer, the Wismec Ravage 230. It’s definitely one of their best looking devices yet, thanks in no small part to the large 1.4-inch display, but also to the anodized finish and general design line. 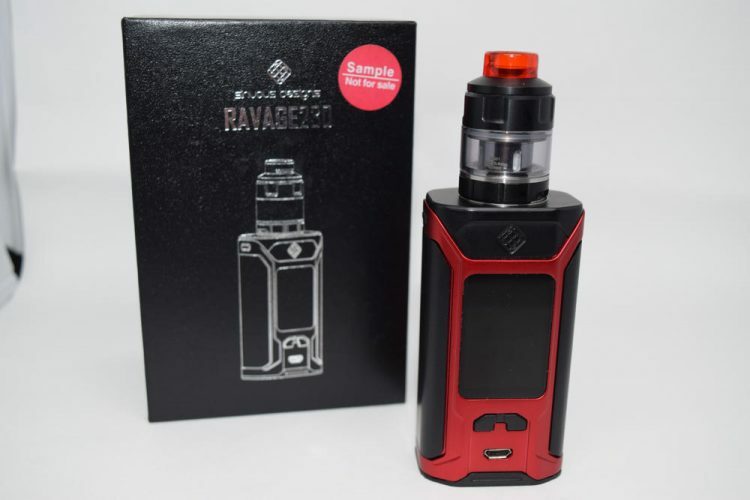 But the Ravage 230 is not just a looker, it’s also packed full of cool features that we’re going to go through in this review. 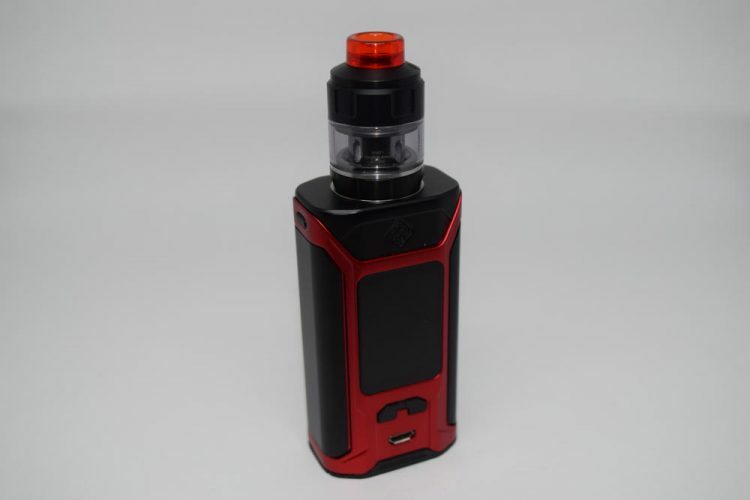 The Wismec Ravage 230 comes in a large, black cardboard box with a silver representation of the mod and accompanying tank on the front, and a list of contents, company information and a scratch-and-check authenticity seal, on the back. 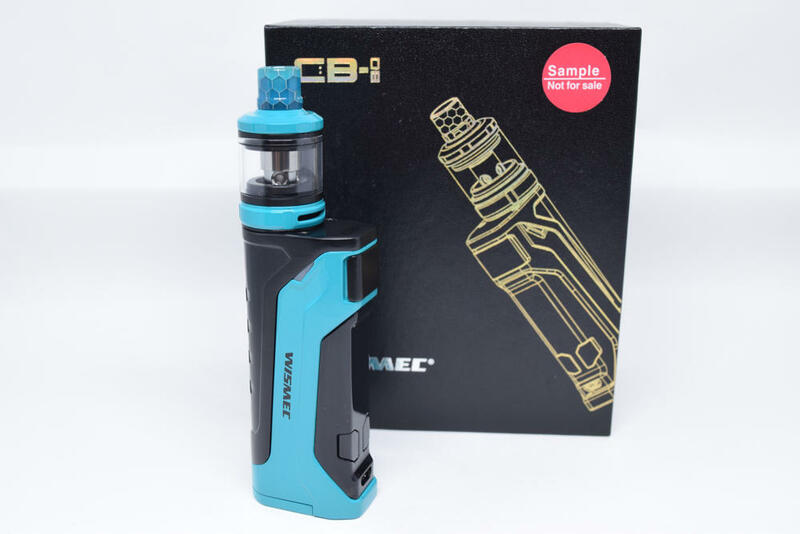 It’s pretty much the standard packaging Wismec has been using on all its mods lately, including the CB-60 kit. Inside the box we have the Ravage 230W mod sitting snug in a Styrofoam holder, and underneath that are the accessories and spare parts. Wismec decided to pair their new device with the Gnome Eco tank, which has been on the market for a while now, but that I had not yet gotten a chance to try. 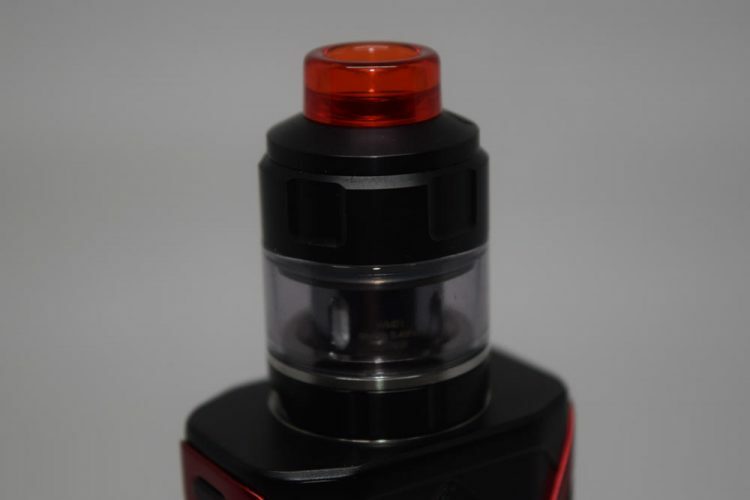 You also get a micro-USB charging/updating cable, a black 510 drip tip for the tank, an extra coil-head, some o-rings and two user manuals, for both the mod and the tank. 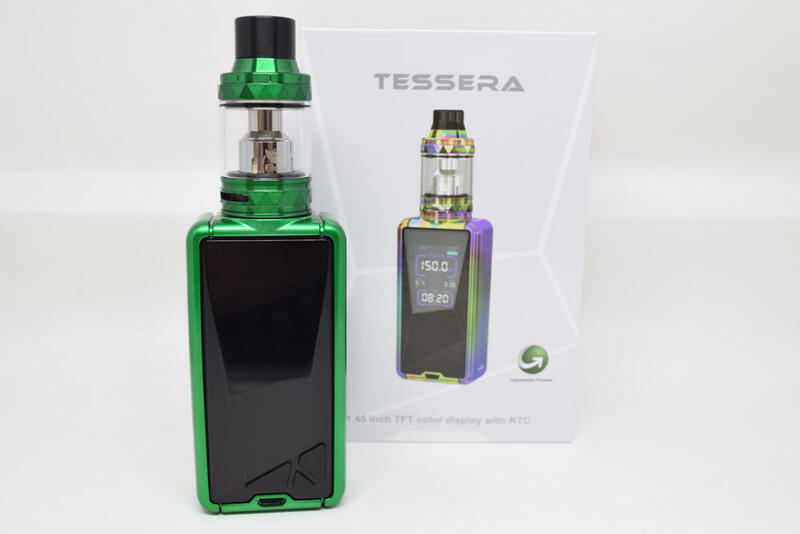 It’s a nice kit, but I really wish Wismec would have also included an extra glass tube for the tank. having cracked some tanks in the past, I’ve grown to appreciate spare glass sections quite a lot. 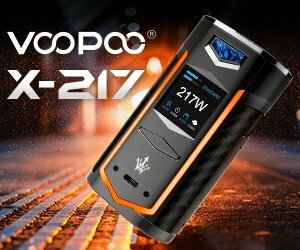 If the Ravage 230 seems somewhat familiar, it could be because it looks a lot like the Wismec Predator 228 mod that came out earlier this year. It was designed by the same Jon “Sinuous” Fairbanks, and you can see the similarities between the two devices in the side-by-side photos. I for one am a big fan of his designs, so I love the look of the new Ravage. 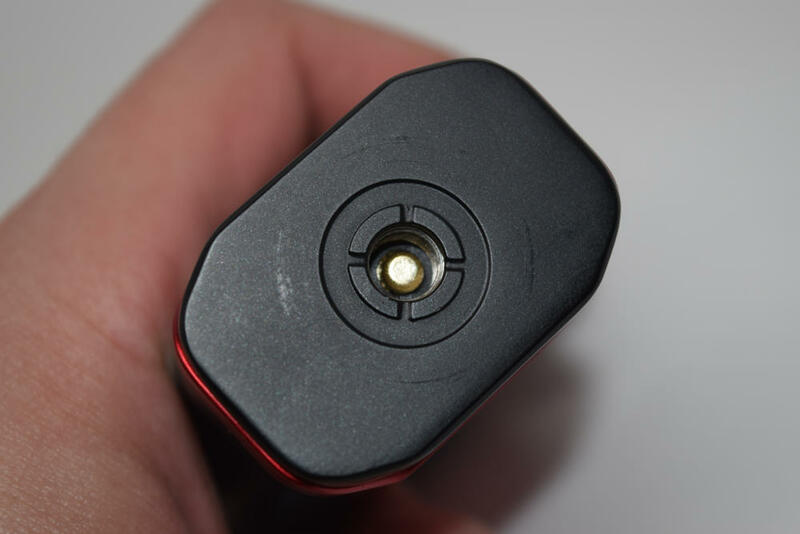 The mod measures 83.4 mm x 43.6 mm x 30 mm, and weighs 147 grams, without batteries. 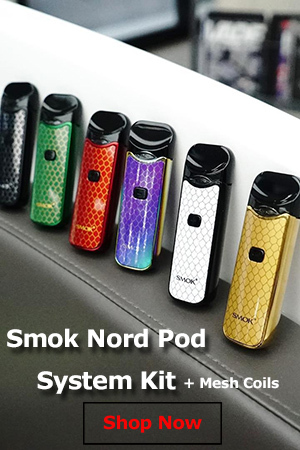 That puts it in the mid-sized mod category, alongside the Wismec Predator, SMOK Procolor or the Sigelei Kaos Spectrum. It’s made primarily of zinc alloy and has an anodized finish, which doesn’t peal off like paint. It can still chip off if you drop it, so you should still treat it with care. The Wismec Ravage 230 by Sinuous features a firing bar very similar to that of the popular SMOK Alien, as well as two adjustment buttons under the display, and a small “back” button right above the firing bar. 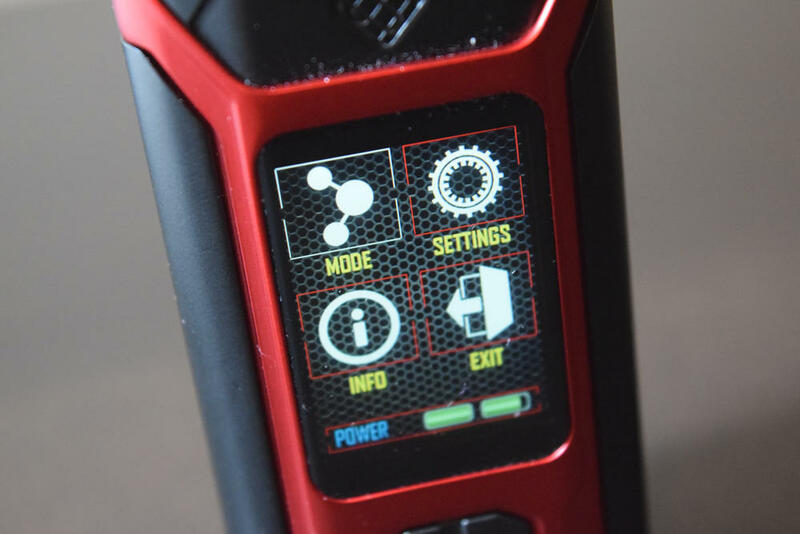 That style of button is usually found on touchscreen mods like the Smoant Charon TS, but here it serves as an easy way to put the mod in stealth mode and exit sections of the settings menu. It’s a very practical solution, in my opinion. The 1.4-inch color display is one of the main draws of the Wismec Ravage 230, and it’s definitely a lot better than other color displays I’ve seen, like that of the Laisimo Wyvern, for example. It’s got a high resolution for its size, so everything appears nice and sharp, and the colors used are very easy on the eye. The only small con I can mention is that they could have made it a bit brighter. I don’t know it it’s the display itself, or just the tinted cover, but the information on screen can be a bit hard to see in bright sunlight. Unfortunately, screen brightness cannot be adjusted from the menu. 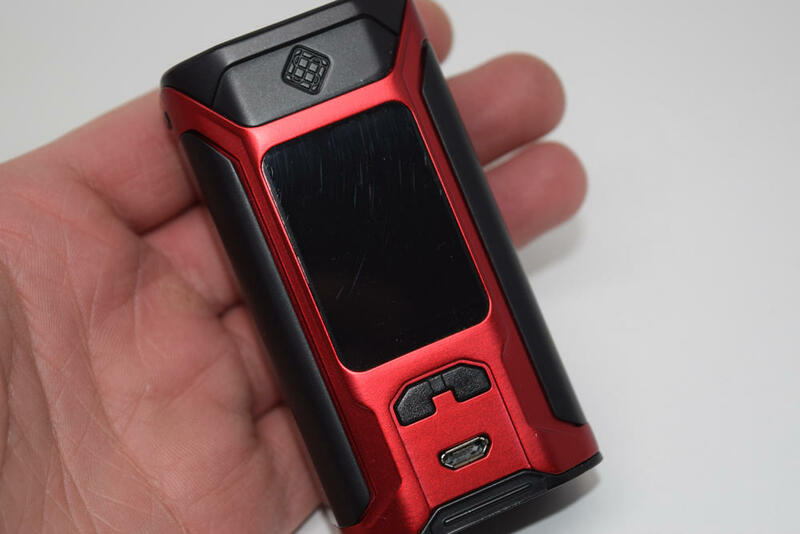 Apart from the color display, the next big improvement the Ravage 230 brings is a centered 510 connection. If you ask me, every manufacturer should position the connection right in the middle. Not only does this make overhang less likely, even with large diameter atomizers, but it’s also pleasing to the eye. For example, the 24-mm Gnome Eco tank pairs beautifully with the Ravage, but it can accommodate tanks and RDAs up to 28 mm with no overhang whatsoever. Even 30-mm attys fit, even though they overhang on the sides just slightly. 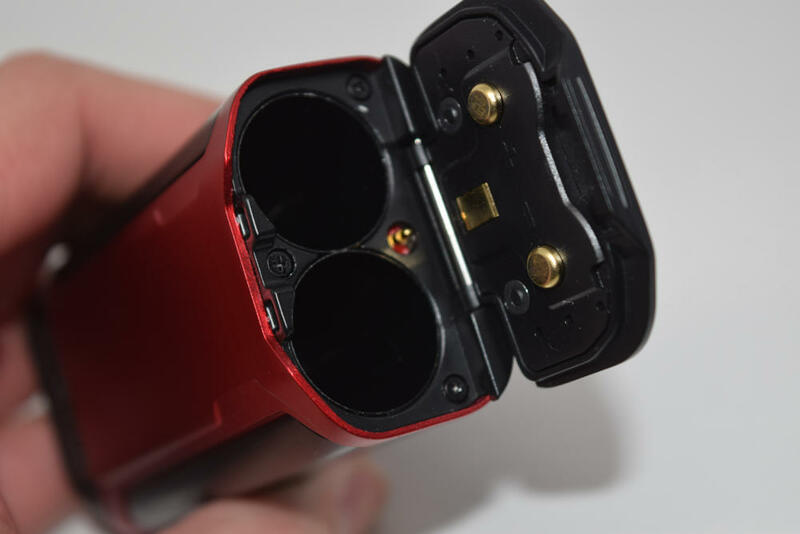 The battery door of the Ravage 230 is very easy to operate and doesn’t rattle at all. One thing that I found interesting was that the battery contacts on the door are spring-loaded, whereas other devices have the springs on the contacts at the bottom of the chamber. Overall, the Wismec Ravage 230 looks and feels like a very high-quality vaporizer. I like the ergonomic device with the easy-to-use firing bar, the large color display and the new “back” button. The anodized finish is also a plus, but we’ll have to see how well it holds up in the long run. The Ravage 230 is packed full of features, and even though I’ve heard other reviewers ask for more customization options, like wallpapers, color changes, and whatnot, I think it’s fine just the way it is. To access the menu, all you have to do is press the fire bar three times in rapid succession. You’ll see four icons, three of which take you into various sub-menus, with the fourth being the “Exit” option. In “Power”, you can select between Power mode, Temperature Control (TC) for stainless steel, titanium and nickel, TCR (memory mode) and RTC. I don’t know what the last one stands for, but what it does is change what you see on screen. By default, the wattage is shown in the center of the screen, and the time in the upper right corner. In RTC the wattage is replaced with the time, and the time with the date. It’s basically a customization option that most people will probably never use. In “Settings”, you can lock the resistance, set the wattage for temperature control mode, turn the preheat function on or off and adjust the power output and duration, set the time and date and the desired cutoff time. There’s also a “Subpara” option, where you can select what secondary option is shown on screen, from puff counter, amperage, and puff timer. 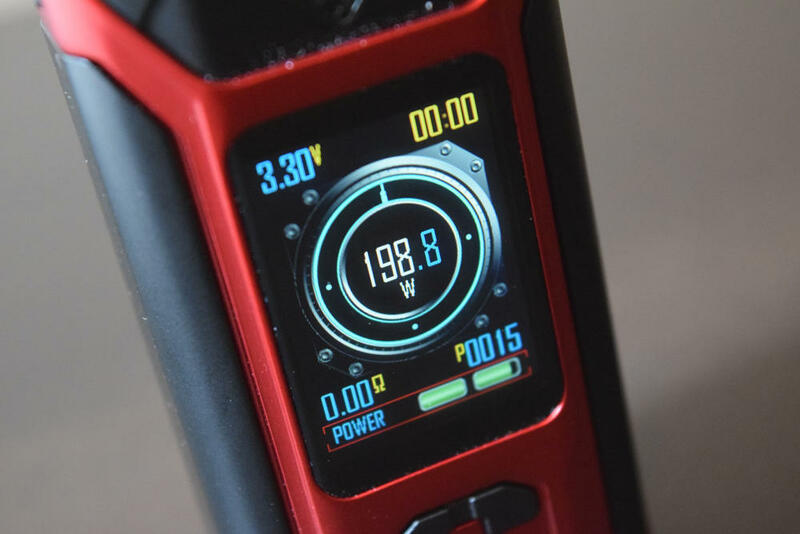 In the “Info” menu, you can check the version of the hardware and firmware installed on your Wismec Ravage 230, as well as the voltage of each battery. That’s actually a pretty cool feature for those who consider the battery indicators on screen too rudimentary. I should mention that Wismec has already released a software update for the Ravage, which turns the small button above the firing bar from a confirmation button into a “back” button. Originally, the firing bar was the “back” button, and the small button was used to confirm your input. That didn’t make much sense, as using the fire button to confirm a choice is more natural, so they flipped the functions. 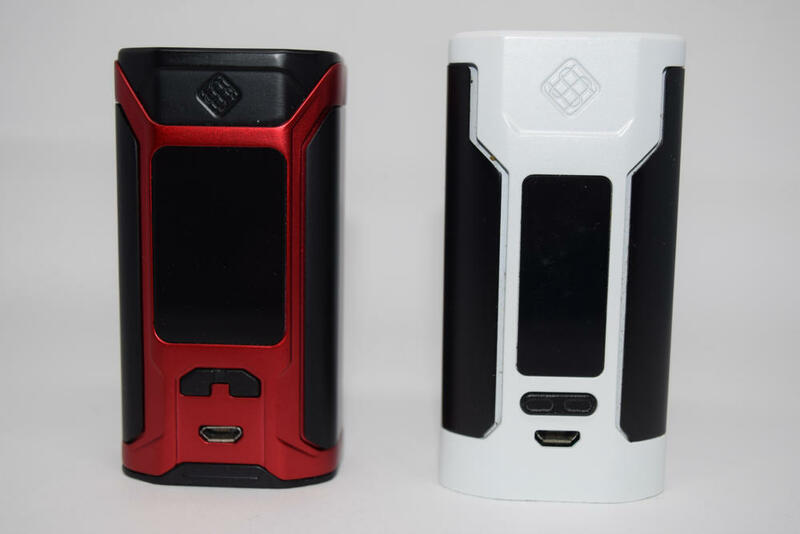 You probably won’t need to update, as Wismec has so far only released its mod to reviewers, so the retail versions will most likely come updated. A short press of the “back” button will turn the display of the mod on and off, and long pressing it allows users to cycle through the various modes without actually having to access the menu. You can also lock the adjustment buttons by keeping them pressed for a couple of seconds. I found the menu and navigation very intuitive, especially thanks to the new “back” button which really makes browsing all the different options much easier. The Wismec Ravage 230 requires two 18650 batteries to function. To be perfectly honest, I think Wismec could have gone for 20700 battery compatibility, even if that meant making the mod a bit bigger. You basically get another 18650 battery worth of battery life for a bit of extra bulk, which I think is a worthy compromise. I still love my iJoy Captain PD270 because of that extra battery life it offers. 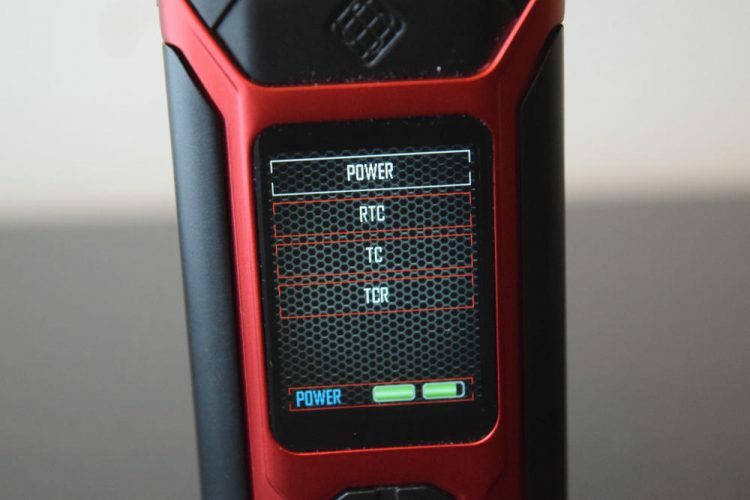 Nevertheless, dual 18650 is perfectly fine as well, and the Ravage does feature 2-amp fast charging technology, so you don’t have to wait too long to vape. Wismec does recommend using a battery charger, though, so only use the on-board charging function when you don’t have other options. Battery life is subjective, as with all other variable wattage and temp control devices. I’ve been using it with two Sony VTC 5A batteries, at around 50W, and I’ve been getting just over a day of vaping out of them, on average. Your experience may very considerably, depending on what batteries you are using, the power output and how much you use it. Performance-wise, the Wismec Ravage 230 has been pretty darn good, except for the occasional misfire. It happens about once or twice a day – I press the firing bar as firmly as always, but the power output isn’t what it should be. It’s not a complete misfire, in that some power goes to the coil, but the little vapor produced is too cool to even qualify as a vape. I haven’t seen anyone else complain about this, so it could be just the sample I was sent, but it’s not a big deal to me, anyway. One misfire every few hundred vapes is not the end of the world. I don’t have the necessary hardware or the know-how to properly test the power output of the Ravage 230 in Power and Temperature Control, but as far as I can tell, the power levels are consistent with the settings shown on screen. It definitely never feels underpowered, that’s for sure. Also, it reads atomizer resistances automatically and quite accurately. The Wismec Ravage 230 may be the undisputed star of this kit, but I for one was very impressed with the Gnome Eco tank as well. It holds just 4 ml of juice, but if you don’t have a problem with having to refill it every few hours, you’ll enjoy a very nice vape. The 0.4Ω coil-heads included in the kit look very similar with those of the SMOK TFV family of tanks, and put out an impressive amount of vapor. I didn’t expect very much in terms of flavor, but the Gnome Eco managed to surprise me. It may not be on par with an RDA, but for a tank, the flavor is pretty darn good. I usually don’t check the user manual for tanks, but I couldn’t figure out how to fill the Gnome Eco. I knew it had something to do with the small “Sinuous” logo on the top cap, but I couldn’t slide it, pull it up or unscrew it. 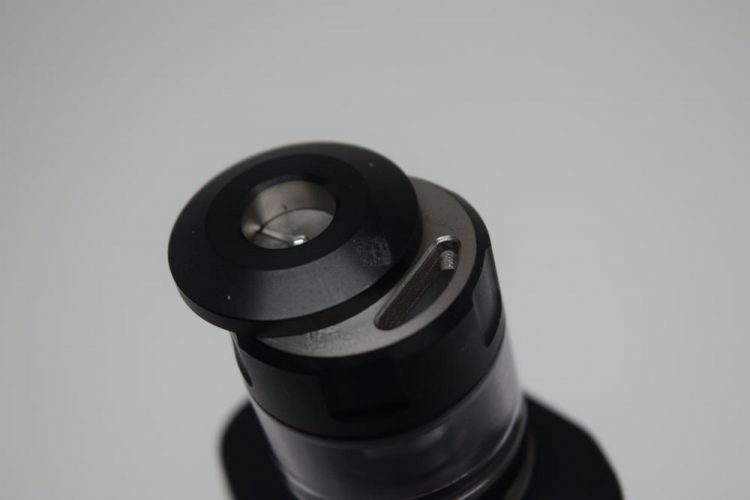 After checking the manual, I learned that the drip tip locks the filling mechanism. You have to remove it, and then push the top cap sideways by pressing against the Sinuous logo. This reveals a large fill port. Another cool thing about the Gnome Eco is that it pairs perfectly with the Ravage 230. It’s short and fat, so it doesn’t stick out too much, and thanks to the central 510 connection of the mod, it doesn’t overhang either. Plus, the clear acrylic drip tip matches the color of the mod, which is a really nice touch. I’ve only been using the Gnome Eco for a week, but I’ve had no issues with it during that time. It hasn’t leaked on me once, filling it is a breeze and the performance is better than I expected. The only con I could find was the somewhat small e-liquid capacity. 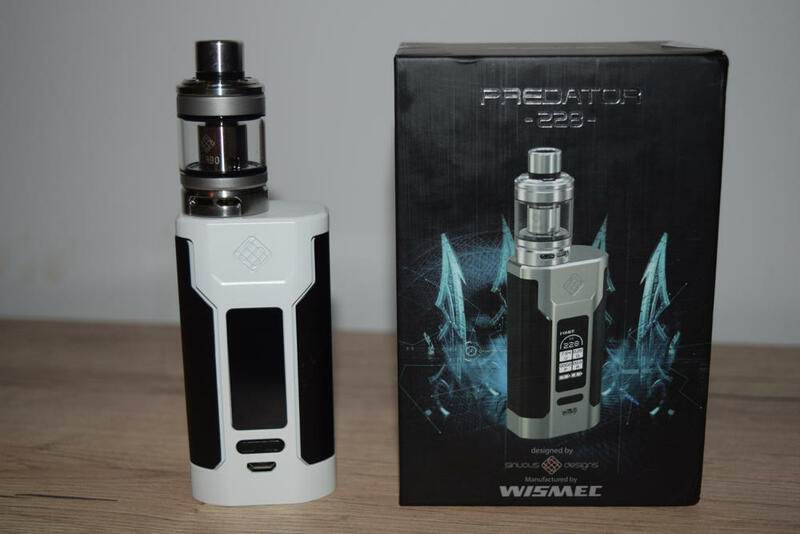 I was a big fan of the Predator 228 when it first came out, but the Wismec Ravage 230 is an even better device. They share a very similar general design line, but the Ravage has a vastly superior display, a centered 510 connection and an anodized finish. The extra “back” button makes navigating the menu a lot easier than by using the standard buttons, and the Ravage comes with a few extra features, like a max wattage of 230W in temp. control mode, time and date, and adjustable cutoff time. All in all, I think this may be Wismec’s best mod yet, so despite those rare misfires I mentioned, which, again, could be just my sample, I definitely recommend giving it a try. *The Wismec Ravage 230 kit was provided by Vape Sourcing for the purpose of this review.